KHL.ru and its analysts present you the best players in the league in November. This month, the best players were determined by well-known analysts. Alexander Fomichyov – Russian Championship bronze medal holder and former national team netminder – selected November’s top goalies. Alexander Guskov – world champion and Olympic Games bronze medal holder – selected November’s top defensemen. Two-time Olympics and world champion Alexander Kozhevnikov picked November’s top forwards. - Last month, we selected Lars Johansson as one of the best goalies in October, this month it’s Ilya Sorokin’s turn. In November, Ilya had a shutout streak of four games and allowed only two goals in six matches. The Red Army has a fantastic defense, and a goalie has a lesser load. This enables Ilya to focus more. Sorokin is a fast, agile goalie with an incredible technique. He’s one of the goalies who can deservedly fight for the spot of Team Russia number one goalie. Igor Bobkov played all the Avangard games in November, and with his solid game, he earned a well-deserved call to the KHL All-Star Game. However, the large-sized goalie didn’t have enough consistency in his previous team, Admiral. While playing for Avangard, he interacts very well with the defense and thoroughly deserved the starting goalie spot. Moreover, in November, Bobkov had a pair of shutouts and is among the leaders in the League in this statistic. - In November, CSKA looked like an impregnable wall, allowing only four goals in eight games. The Red Army defense is a solid monolith that no one seems to be able to crack. It’s not a case that for the Euro Hockey Tour Russian tournament the coaches decided to call three CSKA defensemen. Their leader is Nikita Nesterov, who has the highest average time on ice. You shouldn’t get scared by his only four points – for CSKA defensemen, getting on the scoresheet is not an easy feat. Watching Darren Dietz, you can have the feeling that you’re watching a copy of Kevin Dallman, just younger and with the same appetite for goals. This is one of those cases where you can say that the student has become the master. Barys Astana’s scouts have an excellent eye for offensive defensemen. 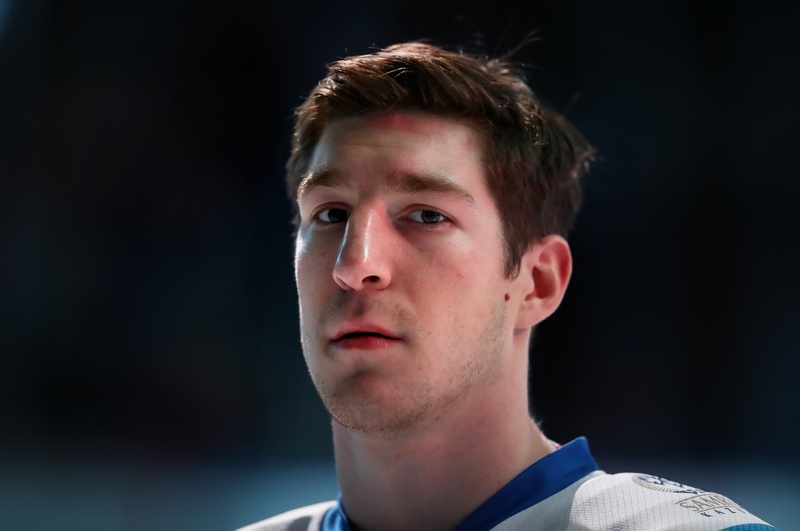 The face of today’s Barys is foreign players. In November, Dietz scored twelve points, with his highlight game being the match against Severstal, when he scored a goal and added three assists. - I always say that players like Dan Sexton can’t be judged merely by their numbers. You can’t say that eight points in ten games are a breathtaking success. However, his contribution to Avtomobilist is a colossal one. He’s one of the best in the KHL in starting rushes, and the whole play with the man advantage passes through him. Even if he’s not the biggest guy in the team, he skates with confidence, creates scoring chances. Sexton is always creating chances for Nigel Dawes, the leader of Avtomobilist. In November, Dawes scored more points than everyone else and got back to the top of the scoring race. You look at this Canadian player, and you want to blame Russian hockey schools. We got a relatively unknown foreign player who is just tearing up everyone on the ice. Where are our players? Dawes was always good, no matter where he played; both in Barys and Avtomobilist. I’m surprised that such talent didn’t find his way in the NHL, but maybe he found himself in the KHL, and the teams offered him good conditions. And, lastly, Nikolai Kulemin, who was the top goal-scorer in November. The Metallurg forward scored nine goals and is gradually forgetting about the low start of the season. So, now the question is: what is the real Kulemin? The one we saw at the end of the regular season? Or the lethal sniper we saw recently? I think that we’ll get the definite reply only in the new year when the most critical KHL games will commence.